Virtual machines take up a lot of disk space and memory. 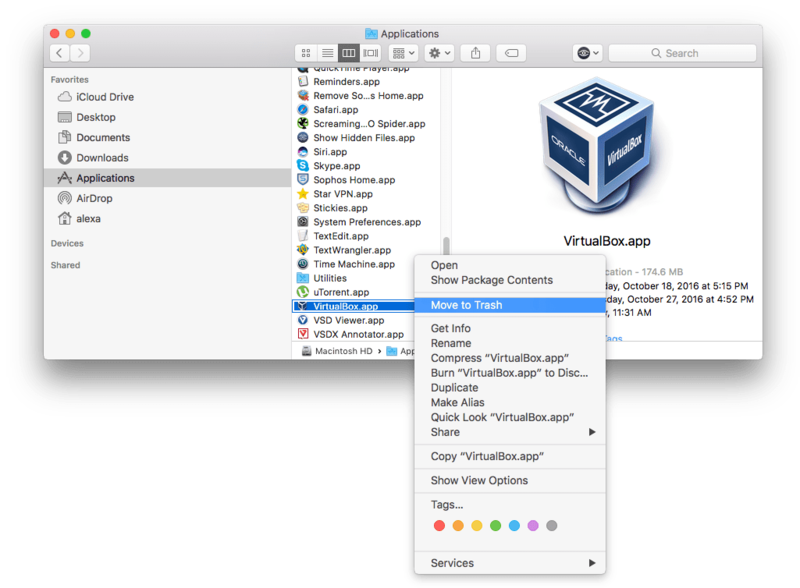 If you have been using VirtualBox on your Mac and then decide to uninstall it, this article is here to help you. We also recommend that you remove Virtualbox when there are some mistakes in it and install the newest version available. 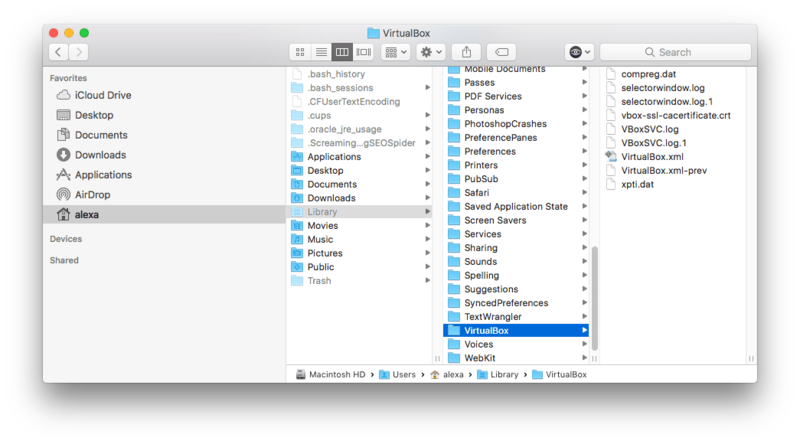 Read on to learn how to uninstall VirtualBox from your Mac completely. Uninstall VirtualBox using App Cleaner & Uninstaller. Uninstalling software is not as easy as you may think. You have to understand the difference between just removing an app and uninstalling it completely by clearing all support files. Follow these steps to delete VirtualBox with all its service files. Drop VirtualBox to Trash bin or go to Finder→ Applications→ Click “Move to Trash” in the context menu. Even when Virtualbox is removed permanently, the virtual machine images still remain on the disc taking up significant disk space (for Linux – from 1GB, for Mac or Windows – even more than 20GB). So it makes sense to review the virtual machine images and remove unused ones. Go to Library folder and from there remove all files and folders related to the virtual machine. To open a hidden Library Folder, you need to open Finder in the Apple Menu: click Go → Go to and type in the search field ~Library. 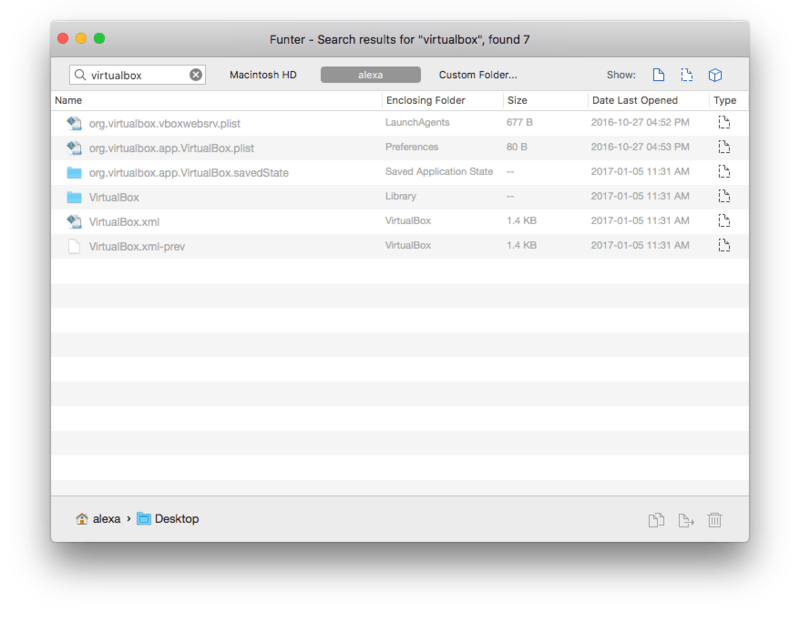 You can also show the Library folder with a free application Funter and even find with it all the hidden files, created by VirtualBox. Read our previous article on how to Show Library Folder on Mac. 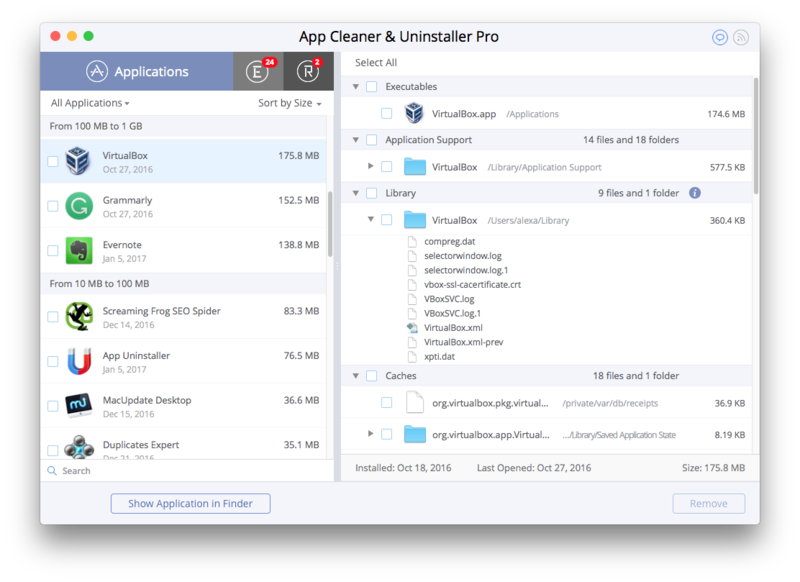 App Cleaner is designed to remove apps on Mac completely. When you drag and drop software to the Trash, a box will show a reminder for complete uninstallation. Click “Complete Uninstall” for the removal of all service files. If your notifications are turned off, then open App Cleaner and in the list of scanned apps find VirtualBox. Select the app and click the Remove button.